With great weather comes catchy tuneage. The summer is always full of big hits, and everyone’s got their own summertime soundtrack with certain songs playing on a continuous loop. But one song always seems to pervade the populous. At the beach, in the bars, on the radio in the car next to you: it becomes inescapable. It’s the “song of the summer,” and it’s coming for your automatically generated “most-played” playlist. Some, you wish you could forget, like Len’s “Steal My Sunshine” (1999). Others, like Daft Punk’s “Get Lucky” (2013), stand the test of time. Yet both ruled the airwaves in their respective years. Nowadays, with more music available than ever before, it’s probably more accurate to talk about songs of the summer. For those who dig country, “Body Like a Back Road” by Sam Hunt might be their current jam. If you boogie to house anthems, Swedish DJs Axwell /\ Ingrosso and Galantis might dominate your plays. Everyone has their own tastes in music, which makes picking the song of the summer difficult and hard to quantify. Good thing we have the Billboard Music charts which, over the years, has named a “song of the summer” based on cumulative performance on the weekly Billboard Hot 100 chart from Memorial Day through Labor Day. Last year, it was the summer of Drake. The Canadian superstar’s “One Dance” was Billboard’s no. 1 song and stayed on top for all 14 of the survey’s weeks. That was only the third time this decade a song has ruled the charts for that length of time. Will Drake defend his summertime title or will someone like Miley Cyrus or Imagine Dragons steal his sunny crown? Like it or not, we could be headed for the summer of Beliebers; Justin has a plethora of EDM collaborations coming out this summer which could absolutely dominate the charts. Given what we know right now, which 2017 hits have the best chance to earn the “song of the summer” label? I provide you with the hot odds. Who knew Justin Bieber could speak Spanish? I thought he was Canadian. If he’s going to sing in another language, shouldn’t it be French? I digress. Currently, this collaboration between Bieber, Luis Fonsi and Daddy Yankee is the song to beat. It features that chill Spanish vibe which pairs perfectly with a cold Corona on a patio, and it’s the first Spanish song to be no. 1 on the Billboard Hot 100 since the “Macarena.” This song will rule not just the North American charts, but also the Latin charts. The Chainsmokers and Chris Martin of Coldplay, both of whom brought bubbly pop to their respective genres, were meant to be together. This dancey song is just the latest hit from the Chainsmokers with ample staying power. If anyone could give Bieber a run for his money this summer, it’s these white bros from New York. Hey, it’s the Biebs again, doing another collaboration! Get used that feeling of deja vu because apparently there might be another one coming in June. (Deja vu is French for “already seen,” Justin.) In this song, Bieber gets his groove on with international hit-maker DJ Khaled. When you add the likes of Quavo, Chance the Rapper and Lil Wayne to the mix, you’ve got yourself a summertime dance party. Lamar could be the dark horse in this race. His first single, “Humble,” is creeping up the charts, and his latest track, “Loyalty,” has a banging chorus from Rihanna which will have broad appeal. Will this be a smash hit similar to last year’s Calvin Harris/Rihanna track, “This Is What You Came For”? This song is gaining momentum and that’s really how Imagine Dragons’ music rolls. Their songs are usually a slow burn up the charts. “Believer” is a great rock song that you can turn up loud with the windows down on a hot summer night. Miley Cyrus’ new song “Malibu” is better for laying on the beach with a mojito. It’s slowly moving up the Billboard charts and should hang around throughout the summer … ’cause laying on the beach with a mojito is effing awesome all summer long. This latest Drake single was no. 1 for a bit, but now it’s sinking. There probably isn’t enough passion to make “Passing Fruit” the song of the summer. Start undoing that championship belt, Aubrey. This song just keeps hanging around, and now it has a pretty badass remix by PARTYNEXTDOOR which will keep it relevant. 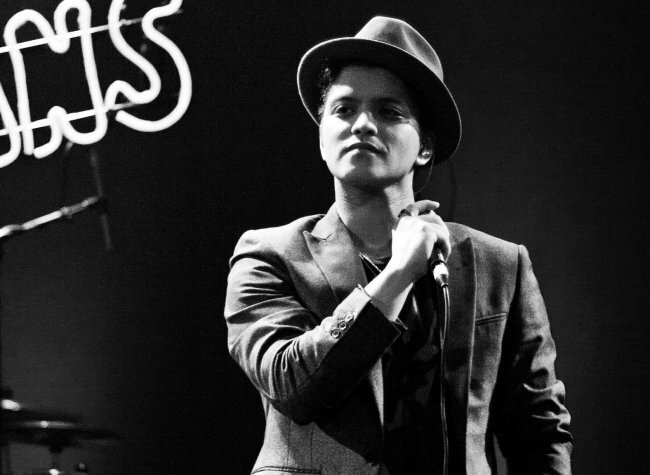 Seems like every Bruno Mars song is in the running for song of the summer … or any season really. On the surface, this has all the ingredients to be the song of the summer. Calvin Harris collaborating with Migos and Frank Ocean? Without even hearing it, you already know it will rise up the charts quickly. But I’m not convinced it has the stamina to be this summer’s big anthem. Selena Gomez sampling Talking Heads’ “Psycho Killer?” Sold! Even if pop music isn’t your thing, you can appreciate this song as something that would sound good in your headphones chilling at a park.